Welcome back to the 5th edition of Our Sunday Best Showcase! Thank you all so much for coming over to link up with us each week! This party has grown so much, and we hope that you are enjoying it, and even receiving some traffic! So together with myself, Shauna from Satori Design for Living, Aimee from Twigg Studios and Nicolette from momnivore’s dilemma and ink & sky, we all welcome you to our little shindig! Before we party, here are the features from last weeks linky! The lovely Nicolette of momnivore’s dilemma and ink & sky gathered together our features for this week! This Kale & Blood Orange Salad from Southern Distinctions is so healthy and looks amazing! What a beautiful and Easy Orchid Centerpiece made by Inspired Living. Flowers this time of year are necessary! These Sweetheart Hand Pies from An Extraordinary Day are gorgeous! I want one right now. Mmmmm pie. Now let’s party! Let’s see what you all have been working on! Our Sunday Best Showcase #15! 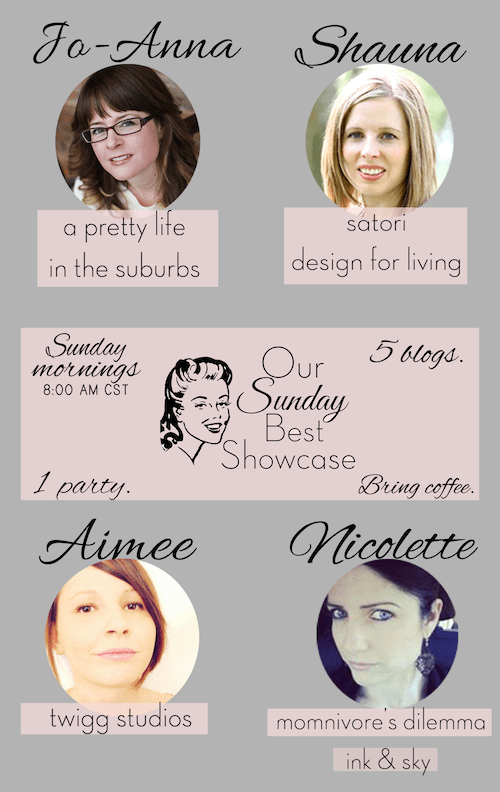 Our Sunday Best Showcase #6! Hi Jo-Anna I hope you have a great weekend and thanks for the party!!! Happy Sunday! 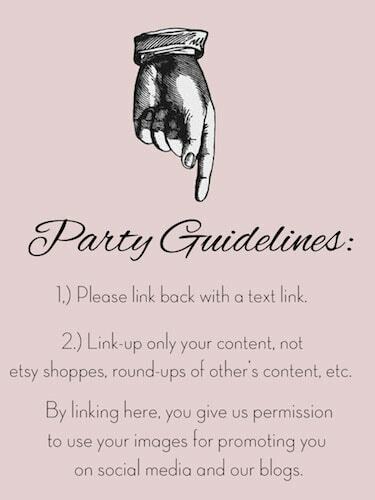 I have just started participating in link parties. What a great way to find wonderful ideas and information. Thank you for hosting!